I guess you could say we’re grillers. We’ve been known to barbeque in all weathers, including the middle of winter, when it’s snowing. Sometimes you just can’t capture the delicious flavors of BBQ and then you need to throw on some charcoal and start grilling. One of the things I’ve been using more of the past few BBQs is using different sauces and pork rubs – something more than just salt and pepper (which can still be very tasty.) Recently, we picked up a beautiful rack of spark ribs that was just screaming to be grilled. I decided to grab a bottle of Kraft BBQ Sauce – Honey and paired it with McCormick’s Sweet & Spicy Rub, with cinnamon and chipotle. First, we rubbed the rub into the spare ribs. We let it sit in the pan for a couple of hours to help the meat soak in some of the flavor of the rub. Then, the ribs went onto the grill. 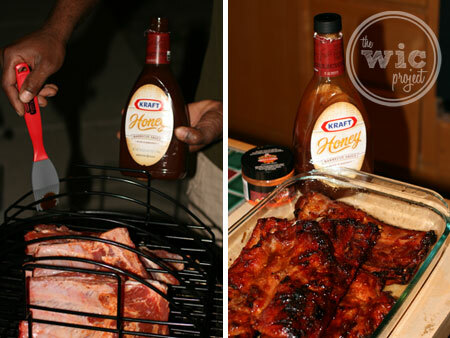 As we grilled, we basted the ribs on both sides with the Kraft BBQ Sauce – Honey. While the guys gathered around the grill, we cooked up some green beans and mashed potatoes as side dishes. A few minutes later, the ribs were sliced and everything was smelling amazing. At first bite, I was in love. The honey sauce adds a subtle sweetness that doesn’t overpower the meat. Plus, it tasted great on the slightly burnt areas (that have that lovely crunch without tasting burnt.) Then, as you would keep eating, you would detect the hint of chipotle and spicy flavor from the cinnamon. Each time you took a bite, you could taste a new flavor. It was delicious. If you are a master-griller, or just like cooking ribs, you can enter the “Dibs On My Ribs” recipe contest. Submit your own recipe or vote for your favorite recipe. The recipe must be an original recipe that uses a minimum of 3 ingredients, including pork spareribs, McCormick spice or seasoning, and Kraft Foods BBQ Sauce. The prize for creating the winning recipe is a year’s supply of groceries from Walmart (score!) Make sure you check the rules for more details. To enter your recipe or to view the submitted recipes, visit the Dibs on My Ribs website. Win a $20 Walmart Gift Card! 10 (ten) will receive a $20 Walmart Gift card! Disclaimer: This is a sponsored post which consists of my (and/or fellow tester) opinions only. Your experiences may be different. I received free product and compensation to use and test for the purposes of this review. This did not affect the outcome of this review. i’ve never made spareribs before. we dont have a bbq, so i guess if i did make it.. slow cook it in an oven? BBQ on the Grill! My husband makes his own dry rub and puts on the ribs overnight and cooks the next day! They are so tender and have the best flavor! I’m drooling just thinkin’ about it! I like to grill them with barbecue sauce. We loved them grilled with a nice BBQ sauce. grilled with my secret rub!!!! Definitely grilled with honey BBQ sauce. Thanks! I bake them in the oven with bbq sauce. Steam them first then grill with teriyaki sauce. I always barbecue my ribs with sauce and slow cook it on the gas grill! I like ribs in the summertime! Slow cooked with sweet/hot BBQ sauce. I cook them in the oven with Chili lime sauce. With homemade hony bbq sauce! My kids love em! Low and slow with a spicy rub. Rub lemon halves while squeezing on both sides the slab, rub with rib rub. 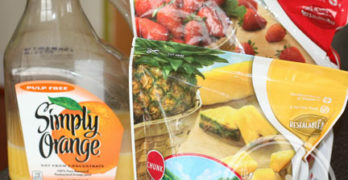 Stack slaps & wrap tight in plastic wrap and refrigerate for 8 hrs. Put ribs in the stack on indirect heat & rotate every 40 minutes. Then spread out and mop with your favorite bbq sauce! YUMMY! Soysauce and lemon with some garlic, onions, and pepper. Dry rubbed over a charcoal flame. I love to cook them in the crock pot. My favorite way is to put them in crock pot with a honey bbq sauce and then serve with fresh corn on cob and baked beans! We like to grill them with honey bbq sauce! Besides grilling spareribs i also do them in the crockpot!! Yummy! Slow cook the spareribs in the oven . Smoked then grilled. sooo good! What’s your favorite way to cook spareribs? I don’t have much experience with ribs, but I have some I want to try and cook in my oven. I like spareribs smokey, we have a smoker we use sometimes. Confession time: I have never cooked spare ribs! But man, they look delicious!! I would love to taste those. I like my ribs slow cooked (oven or grill) with a spicy rub and a slathering of sweet sauce when just about ready to serve. Thanks. We cook em low and slow- first in the oven, let rest overnight (or 24 hours) then onto the grill for an hour. I use pork rub and I buy Famous Dave’s BBQ sauce. We slow cook them on a propane grill. I love to cook them on the grill. First I whip up a base. 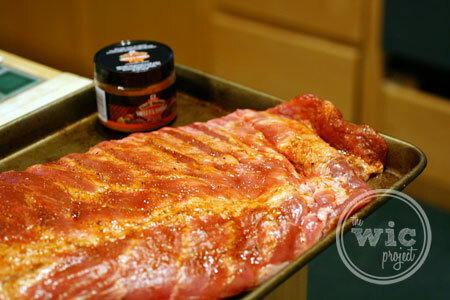 I use the base on my ribs which really adds flavor along with my seasonings. I also use tons of bbq sauce and I also add brown sugar to sweeten the sauce. Boil them with soul seasoning and then cook on grill for awhile and then put sweet baby rays honey bbq sauce on it. I love cooking my ribs on the grill with a hot spice rub. I like my ribs slow cooked. We parboil them and then bbq. I like to cook them in the oven first then finish on the grill. Slow cooked in the crockpot. On the grill, with my mother-in-law’s secret rib rub! I like to grill mine with some of my home made JD Glaze! YUMMY! I like to cook them on the grill very slowly and keep brushing with sweet bbq sauce. On the grill with Sweet Baby Ray’s BBQ sauce. Low and slow-at least 10 hrs. I like cooking them on the grill. On the grill with lot’s of BBQ sauce! slow cooked all night with my husbands dry rub. On the pit with brown sugar! my mother always boiled them a little before putting them on the grill, that made them real tender, GOD BLESS AND KEEP YA’LL SAFE IN HIS LOVING ARMS. On the grill with a slightly sweet, mostly smoky, sauce. I love to throw them in the crockpot with a bottle of BBQ sauce. Easy! My husband cooks them in the oven first and then finishes them on the grill! Bake in Bar b q sauce. I like to slow cook on the stove in a cast iron pot. I like to slow roast in the oven and finish on the grill. I always slow cook them, covered, in the oven. Then, drain the fat, smother with my sauce, and cook a bit more, turning often, to get the sauce glazed a bit. It isn’t summer until the ribs are on the grill! I always cook them on the grill! I start in the oven on low then finish on the grill for that great grilled taste. I like to put a good rub on them (preferably McCormicks) and let them sit for about 3hrs then we put them on the grill and baste them constantly with you favorite BBQ sauce and let them SLOW cook until the desired tenderness! 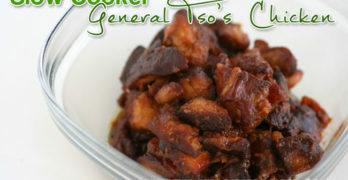 The slower you cook them the more the sauce absorbs into the meat and then it will carry the sauce with it throughout. On the Bar-B-Que.Thanks for the giveaway! Dry Rub, No sauce, slow and low (heat)..giddy up!! Slow roasted with lots of barbecue sauce. B*B*Q* on the grill with tons of B*B*Q sauce! On the grill with BBQ sauce. We use the slow cook and then grill method…and they are yummy! On the grill with a spicy or smoky sauce! I like mine slow cooked with homemade BBQ sauce. I like to grill them for a long time on the lowest flame. I love mine with Honey BBQ sauce! Sorry, I don’t cook spare ribs. I am vegetarian (well I eat fish only). But I hope I can still enter! I actually like to slow cook them in BBQ sauce! It makes them super tender! I cook ours in a slowcooker/crockpot: That way, dinner is ready when we get home. Marinate them and than grill em. I marinated them, then sear them in a frying pan. Then Roast them in the oven. I do not have a grill. I use to love it when my dad grilled them for our family. Smoked “low and slow” with a dry rub. I cook them with BBQ sauce! Slow cooked (or smoked) on the grill. I like them with BBQ sauce. On the grill until they’re falling off the bone. Mmm! I like using BBQ sauce or a dry rub. Been doing them in the slow cooker lately. On the grill and then topped on a sandwich. My hubby uses liquid smoke to make them yummalicious. It might as well be magic to me, ’cause I don’t cook them! 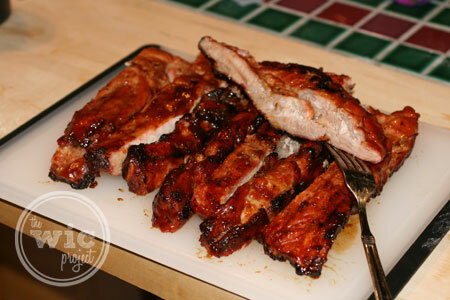 Every time I enter this giveaway and see the photos of the ribs my mouth starts watering!! I like them on the bbq with lots of hickory sauce. bbq them with a little bit of bbq sauce..yumm! We put some seasonings on them and cook them slowly then we put on the BBQ sauce. Low and slow on the bbq!!! Gotta cook ribs with a dry rub nice and slow and add any bbq sauce right at the end (if you want it). With a dry rub and grilled. Either baked or on the BBQ grill. On the grill..but i love ribs anyway! I always cook them in a pressure cooker then I put BBQ sauce on them and put them under a broiler or on the grill til gooey. Never fails! on the grill with bbq sauce! yum! Cook up a little Take Out! BBQ, salt, and pepper on the grill. I love it when they’re grilled. Thanks for hosting! slowly on the grill with indirect heat. And not too much sweet and tangy sauce…but plenty on the side for others. I love them grilled over charcoal and with a sweet and smoky sauce. With someone else doing it for me! I like to eat spareribs broiled then grilled. Starting off with a great rub on ribs makes it! Put them on the grill.With some bbq sauce. I really could use this gift card. We are having such financial difficulties. It would be a blessing. I like my spare ribs mild with the homemade barbeque sauce I make. I don’t like spicy so ours are always really mild and sweet. On the grill at home! With a little red curry paste in the sauce. I jsut started making them for the first time. I use a recipe from Americas test kitchen. and serve it over rice. so yummy! Love my ribs on the grill – mesquite flavor. Low and slow on the grill with a sweet and spicy dry rub. We soak them and bake them in the oven! On the grill with a spicy rub. I like to slow cook them in the crock pot all day and throw them on the grill right at the end! Grilled with brown sugar BBQ sauce. I like my ribs falling off the bone. yum. I am vegetarian so don’t cook ribs. We don’t grill as we have nowhere to do it. Ribs in the oven with some potatoes thrown in and nothing else but salt and pepper and a little oregano is our favorite. Slow cook the on the BBQ if the weather is bad then I would broil them in the oven. I love them grilled with bbq sauce! parboiled in bbq sauce then on the grill slathered in bbq sauce! I love them bbq’d and broiled!! yum! salt and pepper, cooked over charcoal, and finished with BBQ sauce before taking them off the grill. Thanks! parboil them in water and bbq sauce,pineapple juice and seasonings. Then grill them brushing with more bbqsauce w/ pineapple juice! Yummy! I would so love to win this. I could really use it right now. Thanks for the chance! on the grill with lots of bbq sauce. I Just Made Some Lst Nite > Used Honey-Bar-B-Q Sauce ,SWeet Potato on Grill ,& Baked beans MMM GOOD !! I parboil the ribs, use the same bbque sauce as in your instructions above. Grill the ribs! Serve with favorite sides and eat! Enjoy! Thanks for a chance to win one of the Gift cards. I like honey bbq on my ribs. I don’t cook spare ribs(vegetarian),but my Dad loves to cook them on the grill with BBQ sauce. My favorite way is on the grill with my dad’s homemade BBQ sauce (non-tomato base) recipe. I always boil my ribs for about an hour w/ Dales marinade added to the water, then put them on the grill w/BBQ sauce for about 15 min per side.. I like my spareribs cooked in the crockpot. I’m not much for cooking ribs…I let my daughter do that. She does them on her smoker and they are outstanding! I love grilled ribs with a spice rub! We love to boil them first and then put them on the grill. We also love to put either our homemade bbq sauce or our favorite store-bought bbq sauce on them. We boil ours and then grill them with lots of sauce. Thanks for the chance to enter. Marinade then add BBQ sauce. I like them barbecued with a sweet and sour sauce. I love them cooked on the grill. I’ve never cooked ribs before. With lots of bbq sauce in the oven. A nice dry rub,then 2hours in the smoker grill,some Sweet Baby Rays and another hour in the smoker,SWEET! Doesn’t matter how they are cooked I can’t eat them.. But thanks for the opportunity to win. Hubby charcoals them then finishes them in the oven. Out on the grill, smoothered in BBQ Sauce and juicy! I love them slowcooked with BBQ sauce. Well, I have someone else do it cause my cooking skills are…lacking. We like to do them on the grill, they are awesome that way! I like grilling them with honey and homemade spicy sauce! I love them anyway at all but slow cooked in the oven is best with a delicious Barbeque sauce. I love a dry rub and slow cooked! On the smoker with lots of BBQ Sauce. I like to make them in the crock pot. With homemade barbecue sauce from my Grandma’s recipe. I cook them on the grill. with a great honey bbq sauce with a kick. Slowly on the grill with little sauce. Slathered in bbq sauce on and on the grill, yumm! I love to cook them on the grill with a bbq sauce. Marinate them in my “special” sauce but making sure I don’t over marinate because it ruins them. Usually if I marinate 4 hrs or more I choose a sauce that has little salt. Then I love throwing them on the grill, serve them with some yummy grilled corn, and double baked potatoes! I want some now! I love making them on the grill with BBQ sauce! Slow cooked for hours until the meat falls off the bone. Boil them, and then grill them with barbecue sauce. I like to grill my ribs with BBQ sauce. I love cooking them on the grill with lots of spicy bbq! We love them cooked in a smoker. Slow cooked in the oven is my favorite but I love them all the time! I like them slow cooked and spicy. Grilling them with lots of BBQ sauce! My husband likes to cook them on the grill. I like them with lots of sweet sauce on them. My favorite is to coat them with yellow mustard, pat on a good layer of dry rub and slow cook them in a smoker. I like them slow cooked or bbq grilled. on the grill then slow cooked in a pot of sauce. the best way to prepare ribs is to slow cook them ,up to 10 hrs then marinade them then give them about 4 more hrs!!! In the oven – Thanks! I like them marinated and grilled. I love them grilled and drenched with mesquite BBQ sauce! I love cooking them on the grill. I’ve never actually cooked ribs! I like ribs grilled with honey barbecue sauce. sweet and tangy on the grill! slowcooked with a curry spice rub! I like to barbeque them and then cover them with barbeque sauce! My hubby is the grill cook. When I make ribs, I put them in the crockpot with an onion, salt and paper and some bbq sauce. My favorite way to cook spare ribs is on the grill. I like to cook them slowly in the crockpot! I like cooking them in the oven..nothng fancy. I like them cooked slow and sweet. I love them on the grill! I like to cook them in the crockpot. I like to roast my spareribs in liquid for an hour and then remove the skin behind to get rid of any touch to eat pieces. Then I finish them on the grill with Sweet Baby Rays Honey Barbecue sauce. Well the only way to do ribs is to marinate them for a few hours in a sweet and tangy sauce then grill to perfection! I like lots of Honey Barbecue sauce and grilled! I use my dad’s secret marinade – let them soak all day – delish! I cook them on the stove first then finish in the oven. We like to bake them in the oven, covered in bbq sauce. thank you!! i like them falling off the bone and spicy hot! Since I don’t have a grill, I bake them in the oven with a tangy BBQ sauce. My husband loves to bbq…. we like lots of garlic and johnny’s seasoning in our sauces! I like to grill them and soak them in my special sauce I make. We like to let ours marniate in Sweet Baby Rays Honey BBQ Sauce and then grill. Talk about something good. Yummy, these are Awesome! I have never been very good at cooking ribs so reading everyones tips & tricks have been very helpful! My family will be happy! I don’t really make ribs very often at all anymore but when I did it was with a slow roast and a LOT of sauce! my favorite way is to use a nice rub and then slather on my partner’s family recipe of bbq sauce on the grill of course! I cook my ribs on the grill, they are awesome. Boil them and then bake them in the oven. In my crockpot with lots of onions, garlic and BBQ sauce. I RECENTLY WAS ABLE TO COOK ON A SMALL, OUTDOOR, FAMILY BBQ PIT. I LOVED IT AND THE RIBS WERE AMAZING! first I bake them with a rub and then put them on the grill to finish them. Either the grill or crockpot. The way my mother always made spareribs, with sauerkraut. I throw them in a crock pot with some jelly and bbq sauce, when they are almost done I put them on the grill. I like my ribs with honey bbq sauce. For me it depends on the season, in spring/summer we like to smother them in BBQ sauce and grill them, in Fall/winter, I either bake them or put them in a slow cooker with BBQ sauce. Bbq’d with lots of sauce! I like to rub them down with a dry rub, put them on the grill, and serve sauce on the side. I like them on the BBQ! I like to make a marinade and marinate them overnight. I then put them on the grill the next night. On the grill with a sweet bbq sauce. We like them baked or grilled with a sweet and tangy BBQ sauce. I’ve never actually cooked spareribs but I’d like to try the Alton Brown method of cooking ribs in the oven in foil packets because he said it was pretty foolproof. I like to grill them slowly with barbecue sauce on a grill. we put them in the slow cooker for 8 hours and they just fall apart. and i put them in bbq sauce. In the fire pit with spicy sauce.